Police in Jagtial district of Telangana has rescued a 25-year-old girl, who was allegedly chained and confined to a room by her brother and his wife. The victim, Geeta, is said to be mentally unstable. Narrating her ordeal, she said that her family used to torture her but her woes always went unregistered. "I cried and requested my brother and sister-in-law many times but they wouldn't care. Because of continuous chaining, my hands used to swell, still they did not unlock me. They used to torture me daily with chili powder and stuffed a cloth in my mouth. I was confined in a locked room and had to perform every activity in that room itself. They did not even allow me to use toilets. My parents died when I was young, since tehn then I have been staying with my brother," Geeta said. The Kulgam police on Thursday arrested terrorist organisation Hizbul Mujahideen's Over Ground Worker (OGW) Showkat Ahmad Lone, on Thursday. "HM Divisional Commander Riyaz Naikoo had given Showkat Ahmad the task of snatching weapons from security forces," Senior Superintendent of Police (SSP) Sridhar Patil told media. One Pistol and four rounds were also seized. "The moment the police got to know about it, we activated our sources and on that basis arrested OGW Showkat Ahmad Lone," SSP Patil he said. The entire Delhi-NCR along with some other nearby cities are covered in smog. Due to smog on 8 November, a major accident was witnessed on Yamuna Expressway. The air of Delhi has become so polluted that one can have throat infection just by breathing it. The term smog is a combination of smoke and fog, it is was used for the first time in the early 90s. Smog is kind of air-pollution that reduces visibility. In the early 90s, it was common in industrial areas but it has become a familiar sight in Delhi/NCR these days. The telecome giant which is a wholly owned subsidiary of Reliance Industries, Reliance Jio has introduced ‘Prime Benefits’ for all JIO Prime customers. The extraordinary offer incorporate triple-cashback offer that includes 100% cashback that offers Rs. 400 worth vouchers on recharge of Rs. 399 or more. 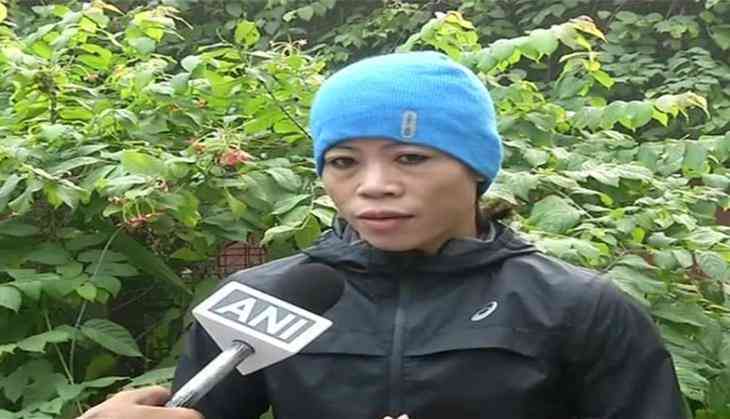 Five-time world champion MC Mary Kom feels that she has proved herself yet again, after clinching her fifth gold medal in the Asian Women's Boxing Championship in the 48kg category. "I feel very proud for my country. For last many years and till now I have proved myself," she said, while talking to ANI.